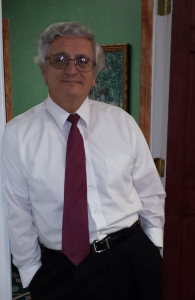 Henry Lagman serves the public’s legal needs in Jefferson County and Shelby County, Alabama, and the cities of Birmingham, Hoover, Pelham, Alabaster, Bessemer, Calera, Chelsea, Columbiana, Helena, Montevallo, Mt. Brook, Vestavia Hills, and in Tuscaloosa County. Henry Lagman has an active practice as a trial attorney, in civil and criminal practice; as a bankruptcy lawyer he has experience in Chapter 7, Chapter 13, and Chapter 11 cases. In the area domestic relations he has experience in divorce litigation and in mediation. He has been a member of the National College of DUI defense with over 30 years experience in defending drinking and driving offenses with many trials as a DUI lawyer. He has been active trial attorney and prepared many criminal offenses including those involving murder, robbery, attempted murder vehicle homicide drug possession and driving under the influence. He has been a former president of the Shelby County Bar Association and a featured speaker at the Alabama Criminal Lawyers Association. “A Day with the Experts” When it really counts you need experience – you are not alone!